With integrated solar panel and detachable hand crank the portable LED camping lantern can always deliver comfortable illumination. Like the design? Let’s keep checking. 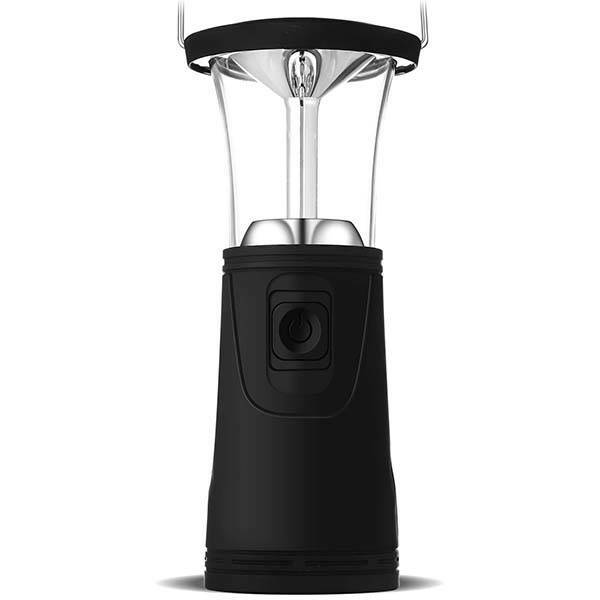 The portable LED lantern measures 2.6 x 2.6 x 7.2 inches and weighs 8.2 ounces. As we can see from the images, it shows off a low-profile and compact appearance design, and using an integrated handle, you can easily carry it in your hand or hang it in your tent. Meanwhile, the LED lamp is water resistant to work in inclement and stormy weather. The rubber oil coating allows it to deliver a soft and comfortable touch and durable construction. The portable LED camping lantern has two lighting modes: high light and low light. With an integrated solar panel, the lamp can be recharged via sunlight, and an included detachable hand crank provides an emergent way to power the lamp. Only 10-minute cranking will generate power for one-hour illumination, so you will never worry about it running out of juice. 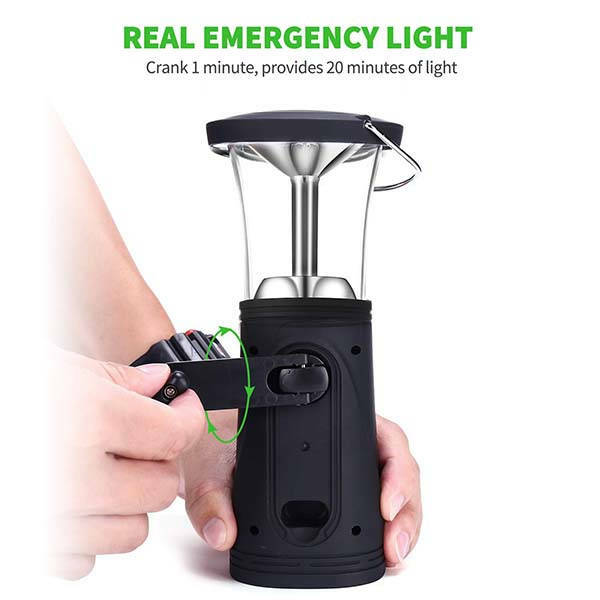 The portable LED camping lantern is priced at $16.99 USD. If you’re interested, jump to the product page for its more details.